Helvetica Font Alternatives From Typecache is a remarkably concise list of typefaces, or called Font Clusters, that could be used as an alternative to Helvetica. I have a number of the typefaces listed by Typecache in my own library, but there are quite a number here that are new to me. You may also be interested in my own, and far less impressive, list of Gotham typeface alternatives—which could do with updating thinking about it. 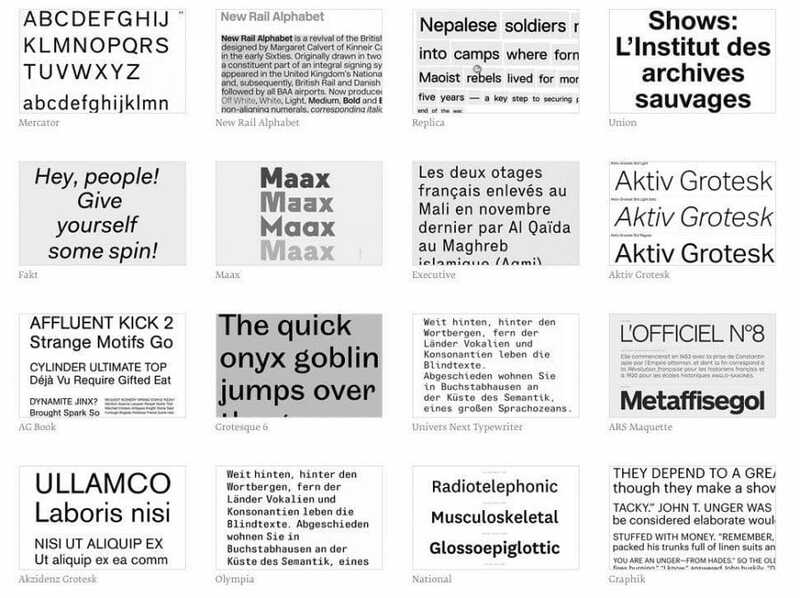 I found this Helvetica list by Typcache: 30 of the Best Alternatives to Helvetica, via an article on TheNextWeb. Here they interview Typecache co-founder Taro Yumiba on the creation of Typecache.